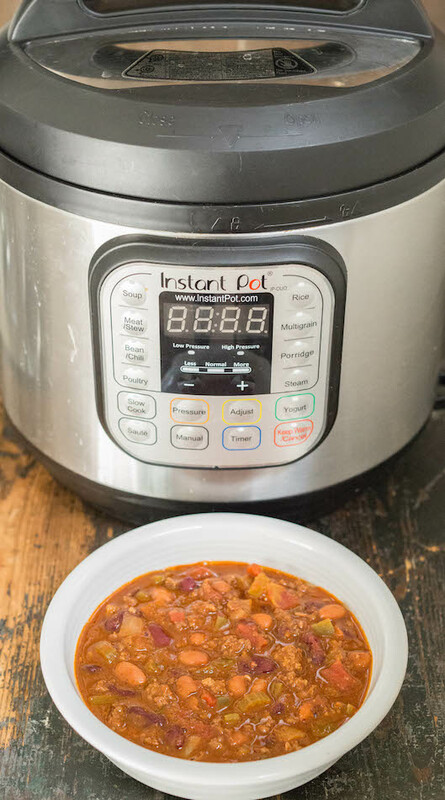 My Instant Pot has been my best friend allllll winter. I’ve been using it to make lots of soups, bone broths, and other dishes that help nourish my chilly soul. 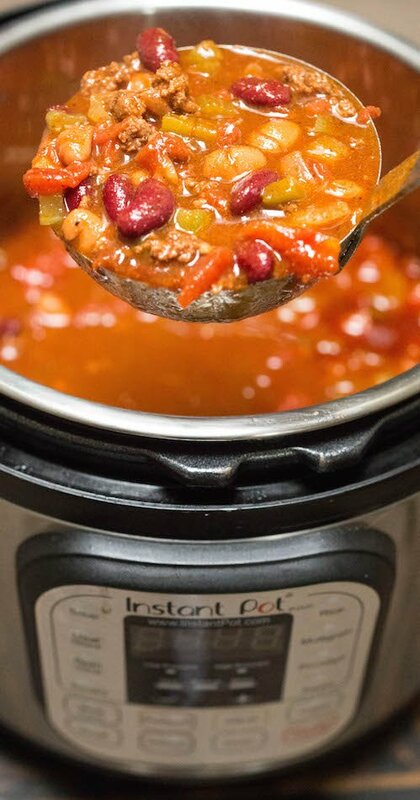 One of my absolute favorite new winter staple recipes to make is this Instant Pot Copycat Wendy’s Chili. Wendy’s arguably serves the most popular chili in the fast food world. There’s a reason it’s a crowd pleaser – it’s pretty damn tasty without being too spicy. Making it at home in the IP is the fastest and easiest way to whip up a batch. We like to make a pot of it at the beginning of the week, then portion the rest out to reheat for lunches. It’s a great way to help keep the grocery budget down and save time. The ingredients for copycat Wendy’s chili are pretty standard and can be found at any grocery store. Wendy’s actually uses leftover hamburgers in their chili, but I used lean ground beef in this homemade version. Is Wendy’s chili made from old burgers? Yes, Wendy’s makes their chili from burgers that were not sold. These patties are chopped up and then saved to use in the next batch of chili. Can you freeze Wendy’s chili? 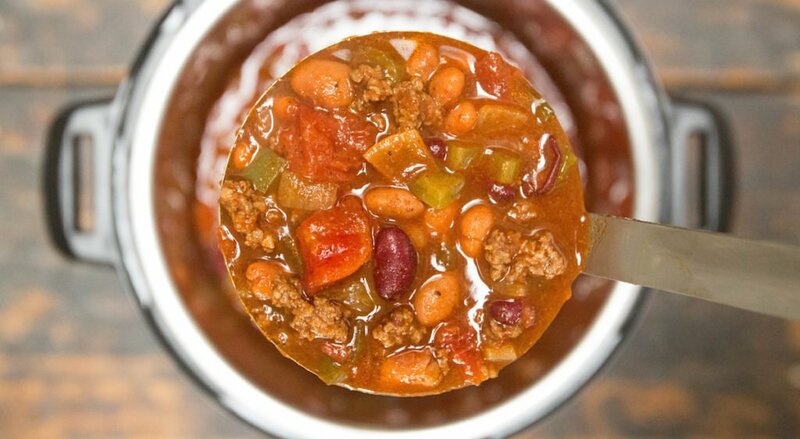 Yes, you can freeze Wendy’s chili. This copycat Wendy’s chili can also be frozen. Can you reheat Wendy’s chili? Yes, Wendy’s chili can be reheated. You can easily reheat it in the microwave or on the stovetop. No, Wendy’s chili is not vegetarian. It is packed full of beef. Is Wendy’s chili dairy free? Wendy’s does not include any dairy in their chili, however, if you have a dairy allergy it may not be safe to eat. They use grilled hamburger patties for the meat that could have been grilled next to a patty with cheese, so cross-contamination could be an issue. Can you buy Wendy’s chili by the gallon? Wendy’s does sell a family size chili which serves 5-6 people. If you need it by the gallon though, why not make this homemade version? I just made this. It is easy and delicious. Will definitely make again. This recipe was really easy and tastes very similar to the Wendy’s recipe. This will save me a lot of money!! I made a double batch yesterday….some for now and the other half will be frozen. Thanks for the recipe!! I made this today and it was delicious! Thanks for the IP recipe.